The best business software meets your needs today and supports your growth. 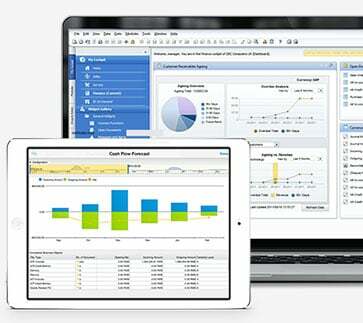 A proven leader in ERP, Analytics, and more - best run businesses run SAP solutions. And – did you know that 80% of SAP customers are growing small and midsized businesses. Vision33 partners with our customers to deliver SAP solutions that will help you gain visibility across your business, create tighter connections with customers and accomplish more. Whether you are a growing business ready to move from spreadsheets or basic accounting packages to a new ERP system like SAP Business One or your business requires deeper analytics anytime, anywhere for key decision-making through SAP Analytics Cloud, SAP and Vision33 have you covered.